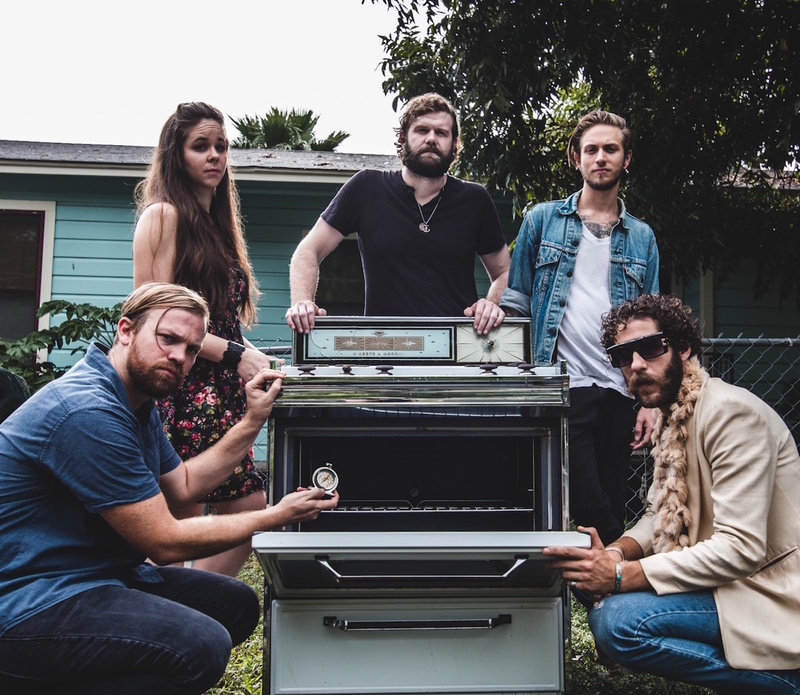 Austin-based indie/rock collective The Cover Letter – expertly comprised of Jacob Shipman, Jarrod Nall, Chelsea Barbo, Johnni Roaché, and Trevor Van Stanfield – premieres their track “Josephine” with us today, which can be found on their upcoming EP, Cities Made of Sand. Allow yourself to be enveloped in a gorgeous melody, triggered by an original and beautiful guitar track that leads into a blending of instrumentals that induce a calming feeling. Lyrics like “Oh, I’ve never seen a girl like you” make you feel like you’re floating in emotion. Cities Made of Sand is out February 17th. Keep up with the band here.